Screening expectant and postpartum moms for perinatal mood disorders is a topic that is coming up more and more these days, as well it should. Why? The more it’s brought up, the more the public will realize the prevalence of postpartum depression (PPD) and need for early detection and social support to help prevent and/or minimize its occurrence. And perhaps one day in the not-too-distant future the standard for care of expectant and postpartum moms will see an improvement in both areas, not to mention banishing the stigma of perinatal mood disorders once and for all! And over at Katherine Stone’s Postpartum Progress, her post on June 12th informs us of yet another example of a hospital setting up a program—having moms complete questionnaires to identify risk factors and having high-risk moms see a postpartum support specialist before discharge—to help identify moms with PPD. Way to go University Community Hospital of Tampa! The National Academies endorses screening and believes it’s crucial, but also emphasizes screening is not helpful unless there is effective follow up and treatment tied to it. Individuals need an informed choice in the treatments they choose. The group suggests that governors of each state convene a task force to develop and implement the strategies they recommend. Pg 5-3: “[Although] screening alone will increase recognition [of depression], the best outcomes [of studies occur] when primary care settings [implement] quality improvement programs that [support] patient education and initiation of therapy. Not only do I feel that postpartum screening is needed, I believe OB/GYN offices should screen their patients initially (as new patients), prenatally (during pregnancy), and postpartum. OB/GYNs should screen their patients for risk of perinatal mood disorders prior to pregnancy, throughout pregnancy (more frequently if the predisposition exists), and as part of the standard 6-week postpartum check-up (they should even offer a 3-month check-up to determine if there are any PPD symptoms and/or moving the 6-week visit to the 4th week, so there is one at one month and one at two months) to increase the likelihood of successfully detecting PPD. The standard 6-week postpartum visit with the obstetrician should include blood work to check for deficiencies in iron, thyroid, etc., even if there are no outward signs of anything amiss, like PPD. The standard protocol should be to, first of all, establish a baseline of hormone levels (progesterone/estrogen) before pregnancy. Then, at 6 weeks postpartum, tests should include a thyroid panel, Adrenal Stress Index and blood work to measure hormone/neurotransmitter levels. Have you experienced PMS, and if so, what are the symptoms? Have you or an immediate family member experienced mood disorders, major depression, PPD, extreme anxiety, panic attacks, an eating disorder (e.g., anorexia), alcohol or drug addition, bipolar disorder, OCD, and/or psychosis? Do you experience any negative effects from taking birth control pills? Do you have or do you have a family history of thyroid disorder? Have you had a baby before? If so, have you had any previous negative experiences related to childbirth (stillbirth, miscarriage, adoption, abortion)? 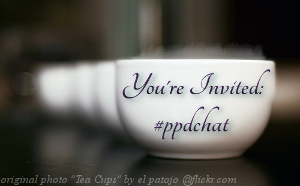 Have you had PPD before? Have you had infertility issues and had to have multiple IVF cycles? OB/GYNs should be proactive instead of reactive and only treat patients that come through their door that already have symptoms of a mood disorder. Why is that, you ask? Well, the earlier they treat the patient, the faster the patient will recover, and the quicker she can return to caring for her baby. For instance, if a woman indicates in the onboarding questionnaire that they have a personal or family history of bipolar disorder, the obstetrician should follow her closely during pregnancy and postpartum. Even if a woman has never exhibited signs of bipolar disorder, if she has a family history of it, her first episode may occur after childbirth. Once a patient becomes pregnant, the doctor should advise her on what PPD is and how the risk indicators correlate with PPD. The history of the patient (i.e., answers to all the above), in addition to any complications during childbirth, should be recorded and taken into consideration when evaluating the patient for the possibility of PPD. Regardless of whether a woman is at risk for PPD, there should still be a consultation in which the doctor will briefly go over what it is and who is at risk. If the woman is at risk, there should be an explanation of the treatment options and an emphasis on having a support network lined up to provide emotional and practical support that goes into effect as soon as they return home from the hospital. Speaking to the woman’s partner directly would be a plus for emphasis on the importance of their support. The doctor should explain to patients and their partners how first-time parenthood is not as easy a transition as they are led to believe. Have you had any pain, spotting or difficulty sleeping? Are you feeling particularly stressed, and if so, is it due to a major change you are experiencing, such as marital problems, death of a loved one, financial problems, a recent move, a job change? Is this a planned pregnancy? Do you have any expectations in terms of childbirth, motherhood, childcare and becoming a parent for the first time? Have you had any prior experience in caring for a newborn/infant? Aside from pregnancy books and books on baby care, have you read anything on PPD? If not, you should read Placksin’s “Mothering the New Mother” and other books listed on the Postpartum Support International website and on Katherine Stone’s Postpartum Progress. Do you feel particularly anxious about this pregnancy? There are OB/GYNs who do perform such screening today, though it’s not a standard practice (but it should be). Patients identified as high risk for PPD or have had PPD before, should be referred to a psychiatrist—preferably one who has worked with pregnant women—for a consult. The OB/GYN should explain to the patient not to be troubled by or panic about being referred to a psychiatrist, particularly if they have never seen one before. The reason for the referral should be explained carefully, as should the symptoms of the baby blues versus PPD. Having these patients establish a relationship with a psychiatrist early on is important because it is the psychiatrist who would then serve as the primary contact after the baby is born and up until the six-week visit with the OB/GYN. Unless there is a medical issue with the mother, the OB/GYN will generally not see her until the six-week follow-up. Having this other healthcare professional as a contact in case PPD rears its ugly head fills the void that exists in all too many cases, like mine, where mothers have no idea where to go for help if they have PPD. Mothers should be assessed for PPD several times in the first year after delivery, with the most critical timeframe between 4-12 weeks. The best time to initiate a screen would be at the six-week follow-up visit with the OB/GYN, provided she doesn’t complain about symptoms up to that point. If she is symptomatic before the six-week visit, she should be screened right then. If the 6-week screen doesn’t indicate PPD, she should be assessed once more at the 12-week point and also when she weans and when her period returns, since these events can trigger PPD in some women. 3. Are you feeling particularly stressed, and if so, is it due to a major change you are experiencing, such as marital problems, death of a loved one, financial problems, a recent move, a job change? 4. How do you feel about the baby? Are your feelings in line with your expectations of how you’d feel about the baby? 5. Do you feel you have adequate emotional and practical support from your partner? Do you have any relatives or any other help, like a doula, to help you with the baby during the day? 6. Are you breastfeeding and, if so, how is it going? 7. How do you feel the labor and delivery went? Do you feel you experienced any sort of trauma during the delivery? 8. Do you feel your childbirth and motherhood experience are meeting your expectations? 9. Do you feel particularly anxious/concerned about your baby’s health (colic, SIDS)? 10. How is your appetite? 11. How are you sleeping? Have you been able to get at least 4, if not 5, hours of sleep a night? 12. Have you had any recurring thoughts/images that are disturbing? 13. How have you been adapting to motherhood, in general? 14. Have you returned, or will you return, to work? I believe these types of questions should be incorporated by all OB/GYNs throughout the country. Doing so would mean fewer expectant and new mothers falling through the cracks, increased public awareness/early detection/treatment of perinatal mood disorders and subsequent reduced impact to children, and spurring on an increase in referrals to establishment of support services. This all theoretically sounds good and fine, but in most cases, OB/GYNs are not prepared to implement. Why not? It would require training on perinatal mood disorders (recognition of symptoms and treatment), as well as ability to provide the right referrals as needed. More on such barriers to progress and current dilemma in my next post. I wanted to thank you for this really wonderful and informative site. 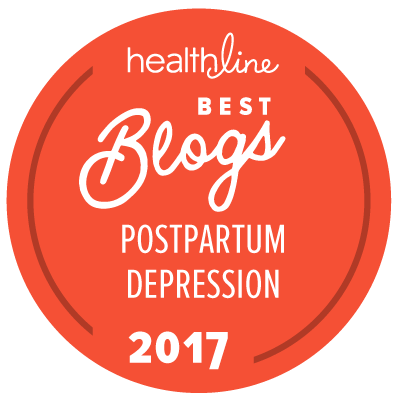 I’ve been looking for blogging resources that discuss PPD and your site has been a great wealth of information for me. I’m pregnant after infertility and IVF and have, like many who go through IVF, suffered with PTSD from infertility. I’m terrified that I’m on the fast track to PPD once my daughter arrives in August and so I’m doing as much proactive research as possible in hopes that I can be more aware of the symptoms. But your prenatal checklist above really helped me identify the fact that I am at high risk and I need to have a proactive conversation with my OB about my condition. Thank you so much for stopping by my blog! I am so glad you find my blog helpful! You are doing a really smart thing by proactively trying to determine if you are at high risk for a perinatal mood disorder. It’s knowledge that’s key to minimizing risk for developing and/or minimizing the effects (if you do develop) of antenatal (during pregnancy) and/or postpartum depression. Just don’t get too anxious, though. You need to keep as de-stressed as possible. Feel free to reach out to me anytime if you have any questions/concerns and/or need help finding resources. Yes, have a proactive conversation with your OB. If you are really at high risk for a perinatal mood disorder, her/his being knowledgeable about perinatal mood disorders is very important. 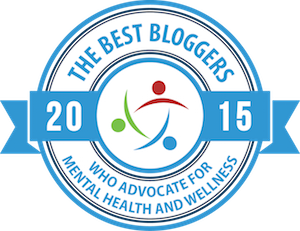 Oh, and thank you for listing me in your blogroll. I am honored! In turn, I have added you to my infertility resources. I’m wishing you well in the short trip you have remaining until you become a parent. Take good care! A wonderful wealth of resources and updates – thank you! So encouraging to see progress is being made!